It’s one of the common themes we learn at a young age in school. It helps us form our arguments and preferences in a cogent and organized manner. 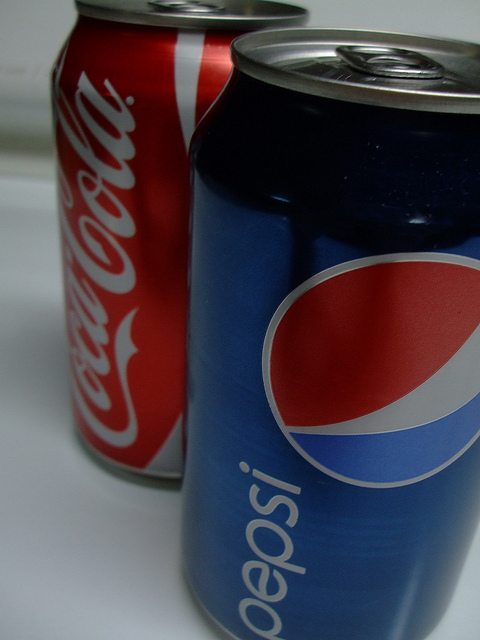 Consider all the things people debate in this chaotic and clutter filled world: Coke vs Pepsi, Yankees vs. Red Sox (this is a major point of division at CloudX unfortunately), Democrat vs Republican, and on and on we go….you get the point. In today’s segment, we want to look at the real similarities and differences between virtual MasterCards and Purchase Cards because it has broader implications than you would think at the outset of examining the issue. Sure, both of these payment methods are electronic and reliant upon underlying credit card technologies. They both seek to alleviate the burden associated with check printing and postage that most Accounts Payable departments find themselves mired in. Additionally, both virtual MasterCards and purchase cards typically offer some kind of a fiscal incentive for the spend pumped through them. Certainly there are some departures here in how those get meted out as some provide cash rebates and others provide points towards airline miles or other items, but in either case the point is you actually get something for your spend. An addidtional similarity is that both require some kind of merchant fee from the suppliers who are accepting them as a form of payment, and this varies based upon the issuer wit some being higher than others. Now we get to the good stuff. While P-Cards are certainly a more prolific type of payment solution in today’s corporate landscape, that may not always be the case. They certainly provide a viable option to relying upon traditional check printing, but not at the expense of simplified processes. In fact, P-cards require re-training from a process persepective for anyone who is going to be holding one within the organization. This is not a massive deal if you are a small to mid-sized company, but it increases the complexity of deploying such a solution for the larger organizations as the adoption period lags as increased training is required. Anytime change is involved rest assured you’ll run into delays. Essentially then P-cards require more change than do virtual MasterCards. A final consideration is also the on-boarding process that is required to bring vendors into the fold. For many organizations that are deploying P-cards, the onus of this is placed squarely on the shoulders of the AP and Procurement organizations, tasks that are neither central nor desirable to the day to day functions of good employees in these areas. In fact, it’s one of the most common drawbacks that we’ve heard from a corporate card roll out standpoint with customers who have gone down this road before! Adoption can be tricky and at times some of these AP folks have felt on their own so to speak once they had the technology at their disposal to be used for payment. Well, thank you for asking, that was kind of you! Virtual MasterCards empower AP departments to pay digitally while leaving their procurement process as it stands prior to deployment. The primary difference is that the only thing that is getting changed is literally the payment mode, meaning that deployment and adoption to this approach is much more rapid than a broad-scale, organization wide P-card roll out. This means that the only real change is a back end component that doesn’t act like a boat anchor to your people or process. Certainly any time a new system is rolled out there will be a learning curve and adjustments that need to be made, but overall the heavy lifting of retraining and reworking internal processes is not a factor because it does not exist. Another key point of differentiation comes back to the isolation and security of individual payments when using virtual Mastercards. At a payment level, each payment has a unique 15 or 16 digit account number that is generated for single use. This means that audit drill downs into vendor payments is much more localized and precise than running everything through an individual purchase card or fleet of cards. So to be sure, both of these approaches represent steps in the right direction of getting out from under the pain that is cutting checks, but we believe that electronic accounts payable (as it is coming to be called in recent whitepapers), though it is only adopted presently by about 18% of companies in North America, represents a better option than P-cards for the above reasons. Less change and broader impact is what companies are after, as it becomes almost an arbitrage play. Of course, once you’ve got the virtual payments piece of your AP organization, there’s always good old Accounts Payable automation and invoice processing to get busy chasing down, but the endgame of the paperless AP office is more rapidly becoming a reality for intelligent folks willing to put the effort in! In today’s evolving accounts payable landscape, there are many technologies and trends to stay abreast of, which makes life difficult for Accounts Payable Manager, Controllers, and CFO’s alike. Knowing which segment of their jurisdiction to focus on is a challenging and continuously shifting set of items to discern. However, one of the most rapidly evolving niches within the AP landscape is that of electronic payment technologies. Financial pressures along with organizational pressures to evolve and improve are forcing leaders to look to new options to create wins for their organization from a workflow and financial perspective. In short, the good news is that few areas offer the promise that comes with electronic payments, and yet, it is still a segment of the payments arena that is coming into it’s prime. While many organizations have deployed various corporate card or purchase card solutions, fewer have sought after electronic accounts payable. By definition the difference would be that electronic accounts payable, such as a virtual MasterCard solution, are approaches to payment that are not centered around any individual card as a payment mechanism, but one in which each payment that is made to vendors who accept will actually create a unique 15 or 16 digit single-use virtual credit card account. This is very cool for a variety of reasons, particularly from a security and an audit trail standpoint. From a security standpoint, you increase your financial controls when you begin to use something like a virtual MasterCard, because you are not running all of your spend through an individual card. In other words, each payment is unique, whereas if everything was placed through an individual card, you have a singular point of payment for all transactions. In theory, this means that in the event of fraud or unsanctioned payment transactions, it would be much more difficult to audit and curb. However, when each payment is unique it’s much easier to identify payments per invoice per vendor, as they are entirely unique instead of being mired in a bucket, so to speak, with a ton of others. In common language, it’s just easier to slip shady payments into something that gets a ton of volume, and where it’s difficult to identify items that would otherwise be outliers. From a cost to process standpoint, it goes without saying that virtual MasterCard payment methods are much more cost effective than traditional methods. According to Aberdeen Group, the average cost for an organization to process a check (on the AP side, not AR side) is $7.78, which is no small number, especially when you’re processing hundreds or thousands of these transactions per month. (You should also get a good handle on your invoice processing costs, but that is besides the point!) There are certainly electronic options to be sure that offer some advantage here including ACH transactions and electronic accounts payable (like virtual MasterCard), but the differentiation point is that the latter offers significant financial incentive to an organization to deploy. Therefore, since they both offer process advantages, at the end of the day, one simply makes a bigger fiscal impact and the conclusion is that it will ultimately be preferable. However, one assumption to this is that you can garner supplier adoption to the use of virtual payment technology. The learning curve is not that great to be able to redeem payments via this method, however, any time people are required to change how they do things, there will inevitably be some level of resistance. Finally, there is the consideration of acceptance to consider. One of the compelling reasons to consider virtual payments a la virtual MasterCard type arrangements is the widespread acceptance of the payment type. 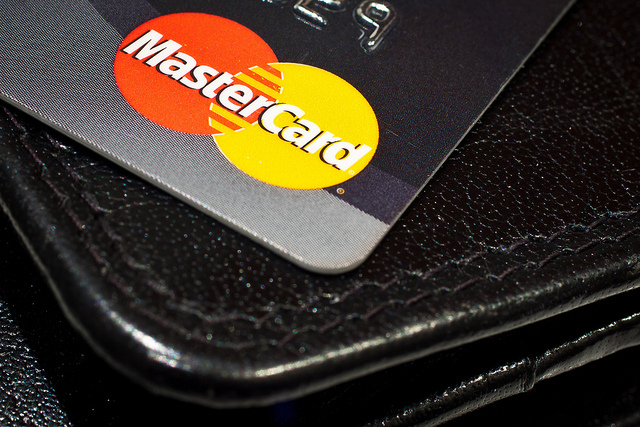 Certainly there are several major players in this space, to include American Express and various bank cards, but in terms of broad reception of the brand, MasterCard is arguably at the forefront of the market. If you haven’t looked at ways to improve how you are making payments today and if you want to make process and financial impacts in your organization in a big way, consider harnessing the power of virtual payments in your company and begin cutting the extraneous process costs and begin grabbing the available rebates that are eluding you today. We believe that there are few undertakings within the AP organization that offer as significant a financial windfall as this type of initiative and are eager to hear your thoughts too!